The next game is against Texas Tech Saturday at the Erwin Center. Kayla Goth scored 13 of her 15 points in the second half to help Kansas State rally for a 69-60 victory over Texas in a Big 12 women’s basketball game Sunday night at the Erwin Center. This was a crippling loss for 15th-ranked Texas, which led by as many as 14 points in the third quarter. The Longhorns fall to 20-6, 10-4 in the Big 12. K-State is 16-10, 7-7. 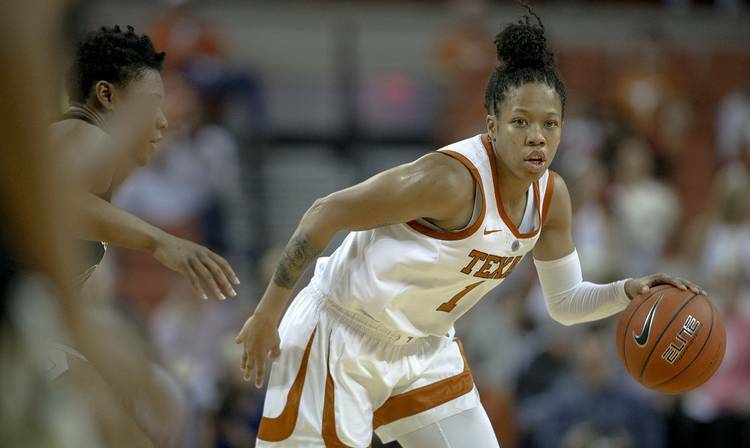 Destiny Littleton scored 16 points for Texas but had only one point after halftime. Danni Williams had 14 points for Texas, including four buckets behind the 3-point line. Kansas State trailed by as many as nine points in the first half but rallied to take a 27-26 lead at the break. Goth was 1-for-6 in the half, but her layup with 12 seconds remaining gave the Wildcats the lead at halftime. Texas would erupt with a 16-1 run at the beginning of the third quarter to take a 42-28 lead. But the Wildcats fought back and trailed by only 46-45 entering the fourth. Peyton Williams scored 13 points to help fuel K-State’s comeback. The Wildcats were hot behind the 3-point line, hitting 12-19 behind the arc. They were 8 of 11 in the second half. This marked the second time the Wildcats have beaten the Longhorns this season. They earned an 87-69 victory over UT last month in Manhattan.